Harness the power of colour - the saying "we eat with our eyes" is never more true than in hospitality interior design. In hospitality, the menu is a key driver for success. However, not to be overlooked is the power and influence that colour has on your interior to enrich your customer’s experience, and encourage them to keep coming back. To help you out, we have canvassed the global colour predictions for 2019 and shared them with you below. The rich opulence and glamour of the past year is being replaced by more grounded, earthy colours that reflect the mood of today’s society. 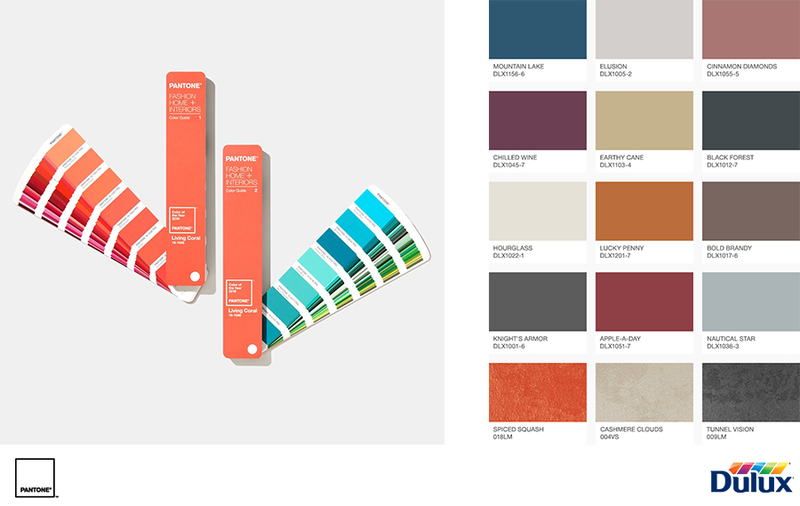 Pantone has named ‘Living Coral’ as the 2019 Colour of the Year, encouraging confidence and spirit. A lively colour derived from nature, it represents “the fusion of modern life”. This year we can expect to see plenty of bright hues to encourage creativity and expressionism, balanced by the return to softer colours inspired by nature. Authentic, natural tones are coming forward as “the world beyond our walls is full of digital chatter”. Intriguing, subtle colours are at the fore rather than bold, in-your-face gestures. As with any prediction there are no guarantees, and trends come and go, posing a risk of dating too quickly. What does ring true with all the predictions being published for the new year is a theme of authenticity and connectivity. Being present in the space, being connected with your surroundings. Using colour to invoke feelings of consciousness like eco-friendly greens, blues and greys and the rise of biophilic design elements as we recognise and truly embrace the power of our surroundings and the impact it can have an our experience. Incorporating colour into your restaurant interior doesn’t need to be complicated, and embracing this can be as simple as swapping out your existing seating with new chairs in an exciting paint finish. Almost all of your furniture elements can be customised in any colour like powder coating pedestal tables bases or metal frame chairs. Timber chairs and timber table tops offer even more options with solid paint finish, gloss and matt options, paint washes, stains, rubbed effects or even digital printing over timber surfaces. The options are endless.